Led Zeppelin has unleashed two previously unheard recordings ahead of the reissue of the band’s first three albums in June. The two tracks – blues classic Keys to the Highway, recorded in 1970, and an early version of the famous song Whole Lotta Love – are among dozens of tracks which the band will officially release alongside the reissues. The companion discs will feature alternative versions of songs, works in progress and live performances, all recorded at the time of the original albums. The tracks, like hundreds of others, had been carefully catalogued but then locked away in Led Zeppelin’s archive for decades. Guitarist Jimmy Page, 70, has spent two-and-a-half years combing through the vaults, listening to hundreds of quarter-inch tapes before choosing the best material. “I don’t want to die and have somebody else do it,” he says. 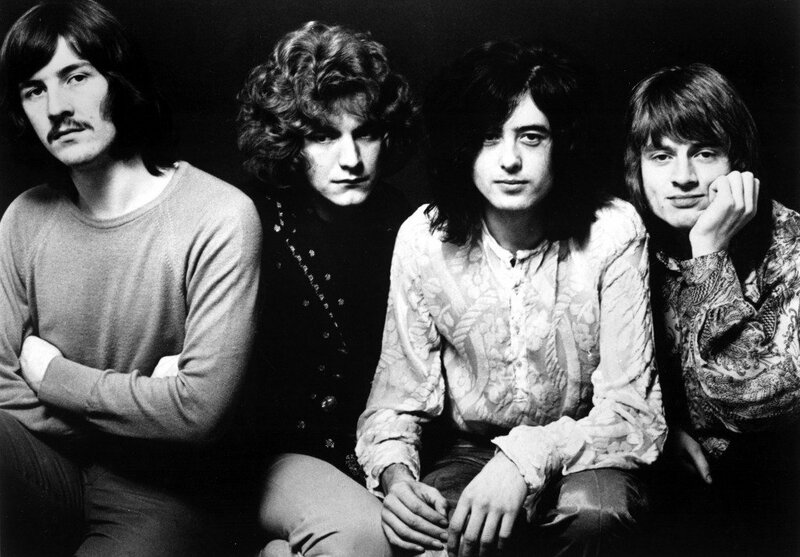 Jimmy Page says the new material “deserves to be heard” because “it’s performance art”. It will give fans the first chance to eavesdrop on some of the band’s key recording sessions. Keys to the Highway/Trouble in Mind, to appear on Led Zeppelin III, was recorded in 1970 at the Olympic Studios in Barnes in south-west London, about half an hour after Hats Off to (Roy) Harper. But it was never released. “It was a particularly prolific time, where we were learning about each other’s capabilities,” says singer Robert Plant. Led Zeppelin II features an early version of Whole Lotta Love, which many consider to be one of the greatest rock ‘n’ roll songs of all time. There are significant differences between the two tracks. The original is missing the first chorus and middle section. New vocals appear on the finished version, as well as a slide guitar. “You realize just how important all of those additional layers and the filigree work is,” says Jimmy Page. Jimmy Page says it’s “reassuring” revisiting the songs after all this time. “It’s undeniable that we’re good,” he adds. But the inevitable passage of time has given Robert Plant, who is now 65, a different perspective. “My enthusiasm sometimes got in the way of finesse. I listen to it and go, wow, why didn’t I shut up a bit?” he laughs. Jimmy Page promises “lots of surprises” on the three reissues, which are part of a plan to reissue all nine of the band’s studio albums in chronological order. But he has scotched rumors that there will be versions of songs featuring bass and keyboard player John Paul Jones on vocals. The surviving members reunited seven years ago for a concert at London’s O2. But fans will be disappointed if they are hoping there will be another one.